Following the continued growth and success of the Kingspan lighting solutions business unit, the new Kingspan Light + Air Division was created. 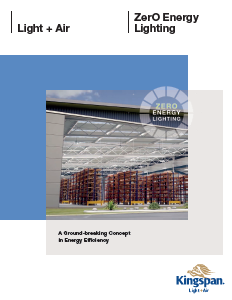 On the path to constructing Net Zero Energy buildings, it is recognized that two of the highest energy consumption areas in a commercial / industrial building are lighting and HVAC. The creation of the Kingspan Light + Air division firmly establishes the business as the global leader in sustainable lighting, natural ventilation as well as smoke and heat management solutions sector and provides a unique, vertically integrated offering in the market. 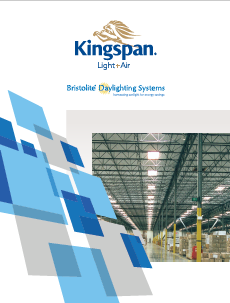 In the Fall of 2016, Kingspan acquired Essmann Group of Germany, a global leader in natural daylighting and natural ventilation systems, and more recently the business acquired the assets of Bristolite Daylighting Systems, the leading North American producer of daylighting systems for the industrial and commercial markets. The focus of Kingspan Light + Air is to grow and invest in the new division and in partnership with both our current and new people, create a vibrant business that will offer a compelling proposition to our customers that ties in with our goal of Net Zero Energy building solutions. The company offers an extensive range of technology driven, energy efficient products in lighting, natural ventilation, as well as smoke and heat evacuation. Holding a strong global market position, Kingspan Light + Air has established itself as an industry leader in the area of energy efficiency, code compliance, certification and approvals.